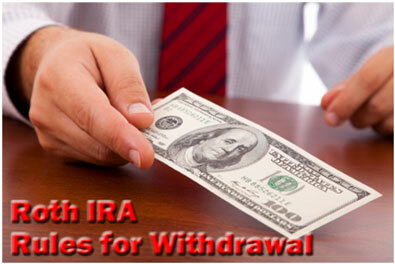 What are the Roth IRA rules for withdrawal? Can you withdraw principal contributions tax-free and penalty-free? Can you pay back early withdrawals? Before you make any type of distribution from your account, you need to be well-versed in the rules governing your Roth IRA. Otherwise, you might get slapped with an unanticipated tax bill. Armed with these bits of information, let's take an in-depth look at the Roth IRA rules for withdrawal. Unlike your Traditional IRA or your 401k, where the IRS taxes you for making any type of withdrawal, you can withdraw your original Roth IRA principal contributions tax-free and penalty-free at any time for any reason. Regardless of your age or the circumstances surrounding the withdrawal, you can always remove original contributions from your account without having to pay income taxes or an early withdrawal penalty. For example, let's say you're 45 years old. Over the past ten years, you've contributed $40,000 to your Roth IRA. It's now worth $85,000. If for some reason you need to withdraw $5,000, you can do so tax-free and penalty-free even though you have yet to reach age 59 ½. Well, unlike most retirement accounts such as your 401k, 403b, or Traditional IRA, you make contributions to your Roth IRA with after-tax dollars (non-deductible contributions). As a result, you can withdraw those funds without penalty since you already paid income taxes on them before you made your contribution. Under these rules (and still using the example above), you can withdraw up to $40,000 before facing any income tax liability or an early withdrawal penalty. Because your original contributions total $40,000. However, under the Roth IRA rules for withdrawal, if you want to withdraw any of the remaining $45,000 in your account, you will likely owe income taxes and a 10% early withdrawal penalty. Unlike your original Roth IRA contributions, you can NOT withdraw investment gains, rollover funds, or conversion funds tax-free and penalty-free unless you first meet two conditions - reach age 59 ½ and meet the 5 year rule requirements. If you withdraw any funds from your account other than your original contributions before meeting these milestones, you're making an "early withdrawal" in the eyes of the IRS. And early withdrawals usually trigger a tax liability. The Roth IRA rules for withdrawal state that you must open and fund your Roth IRA for a period of 5 tax years before you can withdraw earnings, rollover funds, or conversion funds tax and penalty-free. This is widely known as the Roth IRA 5 year rule. So what are the particulars of this rule? Well, as previously stated, it's not enough to simply open an account, you also must fund it before the clock starts ticking. For instance, if you sign up for a Roth IRA account December 15th, but you don't actually put any money into it until June 1st, your 5 year countdown starts when you fund the account in June. And once your 5 year countdown starts, you need to wait five tax years, NOT five calendar years to meet the 5 year rule requirement. So what's the difference between the tax year and the calendar year? Well, the calendar year is exactly what it sounds like - the time period between January 1st and December 31st of any given year. The tax year, however, is the time period between January 2nd of one year and April 15th of the following calendar year (at least for Roth IRA purposes). For example, let's say you open a Roth IRA in March 2012. Because you didn't have a Roth IRA in 2011, you never made a contribution for the 2011 calendar year. Nevertheless, you still have until April 15th of the following calendar year to make a Roth IRA contribution. As a result, you decide to make your initial contribution for the 2011 tax year. This means the clock for your 5 year waiting period begins ticking in 2011, even though your initial contribution took place in the 2012 calendar year. Now, keep in mind that 5 tax years must pass. So if you fund your Roth IRA in the 2011 tax year, when do you meet the 5 year rule? Because 5 tax years have passed - 2011, 2012, 2013, 2014, and 2015. However, just because you've met the requirements of the 5 year rule, you aren't necessarily out of the woods yet. Under the Roth IRA rules for withdrawal, you also have to reach age 59 ½ before you can make tax-free, penalty-free withdrawals of your investment gains, rollover funds, or conversion funds. The Roth IRA rules for withdrawal require you to meet the requirements of the 5 year rule and reach age 59 ½ before you can freely withdrawal funds from your account without taxes or penalties. For example, let's say you open and fund an account in 2014 at age 48. In 2024, your account is worth $150,000 - $50,000 in original contributions and $100,000 in investment gains. Your account met the 5 year requirement in 2019 since you initially opened and funded your account in 2014. So does this mean you can withdraw your entire account balance tax-free and penalty-free? The Roth IRA rules for withdrawal require you to reach age 59 ½ first, and in 2024, you're only 58 years old. While you can withdraw the first $50,000 tax-free and penalty-free (since it represents your original contributions), you'll have to wait until at least six months after your 59th birthday before you can withdraw the remaining $100,000 tax-free and penalty-free. Likewise, withdrawals after age 59 ½ must also be in compliance with the 5 year rule in order to avoid taxes and penalties. For example, let's say you open and fund a Roth IRA in 2015 at age 57. Four years later, in 2019, your account is worth $44,000 - $24,000 in original contributions and $20,000 in investment gains. At age 61, you definitely meet the age 59 ½ requirement. But does your account meet the 5 year rule? Since the clock started in 2015, you need to wait until 2020 to make tax-free, penalty-free withdrawals (2015, 2016, 2017, 2018, and 2019). And when it comes to the Roth IRA rules for withdrawal of conversions, things can get even tricker. Because each Roth IRA conversion you perform must independently meet the requirements of the 5 year rule. For instance, let's say you open and fund your Roth IRA in 2014 at age 53. In 2020, you perform a Roth IRA conversion. By 2023, your account is worth $275,000 - $50,000 in original contributions, $125,000 in conversion funds, and $100,000 in investment gains. At age 62, you meet the age 59 ½ requirement, and your account meets the provisions of the 5 year rule, since you originally opened and funded it in the 2014 tax year. Under the Roth IRA rules for withdrawal that means you can withdraw the full $275,000 balance tax-free and penalty-free, right? Remember, each Roth IRA conversion you perform must independently meet the requirements of the 5 year rule. Since you performed a $125,000 conversion in 2020, those funds won't be in compliance with the 5 year rule until 2025 - another two years down the road! The Roth IRA rules for withdrawal are quite specific, and it's easy to overlook at key rule which proves quite costly. So make sure you know and understand the law before moving forward with a Roth IRA withdrawal. It's always a good idea to consult a qualified financial professional for guidance. Can you pay back Roth IRA withdrawals? This is a common question since some people use their Roth IRA as a back-up emergency fund. Under the Roth IRA rules for withdrawal, if you make a contribution to your Roth IRA in the current tax year, then withdraw all or part of those funds in the same tax year, then you can "re-contribute" all or part of those funds later on in the same tax year without penalty. For example, let's say you contribute $5,000 to your Roth IRA on January 2012 for the 2012 tax year. Later that year, a car accident leaves you with mounting medical bills, and you decide you need that $5,000 after all. Since you can withdraw your original contributions tax-free and penalty-free at any time for any reason, you decide to take out the full $5,000 you previously contributed in January so you can pay off your medical bills. By January 2013, you've made a full recovery. You also get a call from your lawyer. He has a $5,000 settlement check with your name on it! Since you have until April 15th of the following calendar year to make a Roth IRA contribution, you can use that $5,000 check to "re-contribute" the $5,000 you previously withdrew, designating it as a 2012 Roth IRA contribution. That said, under the Roth IRA rules for withdrawal, you can NOT replace withdrawn contribution from previous tax years. Contributions for that tax year are cut off forever. For instance, let's say you open and fund your Roth IRA in 2013 with $5,000. In 2014 and 2015, you make two more $5,000 contributions. In 2016, you have a bad year, and you need to withdraw funds from your Roth IRA. 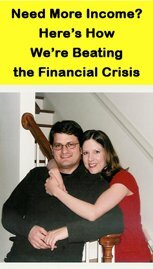 You take out $10,000 tax-free and penalty-free, leaving you with only $12,000 in your account - $5,000 in original contributions and $7,000 in investment gains. While you can likely replace $5,000 of the withdrawn funds if you "re-contribute" by the April 15th deadline, you can never contribute more than the maximum for any given tax year. As a result, that $5,000 contribution and all of the decades of potential tax-free compounded interest associated with it is lost - forever! So if you're intent on withdrawing your original Roth IRA contributions early, realize that under the Roth IRA rules for withdrawal, you can't always pay back those contributions. Once you understand them, the Roth IRA rules for withdrawal are pretty straightforward. In addition, your withdrawals must follow a specific order. First, you withdraw your original contributions. Second, you withdraw any rollover or conversion funds. And last, you withdraw any investment gains you may have generated on the previous funds. Know the law before you undertake any sort of distribution, and always seeks the advice and guidance of a qualified financial professional.